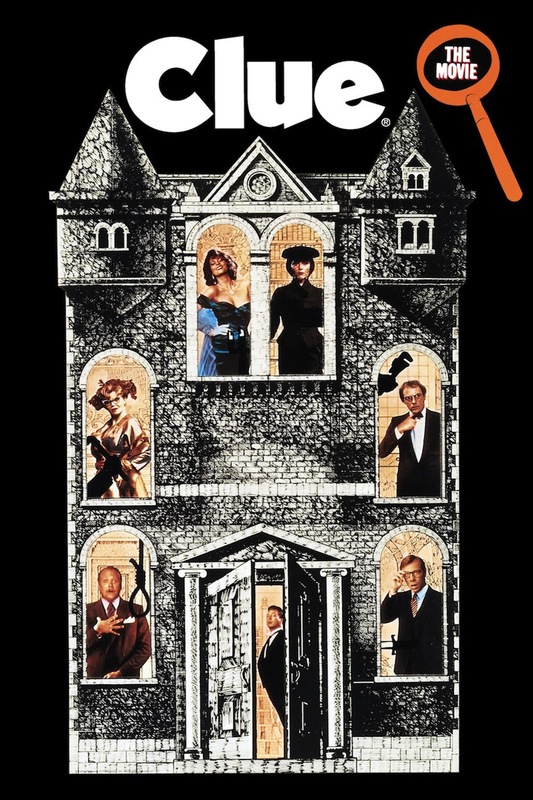 Clue, the cult classic mystery comedy based on Hasbro's iconic board game Clue, or Cluedo outside of North America. In 1954, six guests are invited to a mansion, all of whom are being blackmailed by a Mr. Body, and after a series of events, someone is murdered, and the six guests, along with the mansion's staff must deduce the identity of the murder. If, for whatever reason, you are not familiar with the Clue board game, it is a game where the players are trying to solve who committed a murder. Even though I have not played a lot of board games, Clue has always been my favorite, and Clue did not disappoint. Plot: 8.8/10- Clue's plot is somewhat of a standard whodunit murder mystery, with a few plot twists along the way full of murder and scandal. The plot is not overly complicated with fast and fun pacing. What sets the movie apart is the inventive ending, which I will not spoil. Also, the movie uses elements of the board game to effectively convey the spirit of the game, while still making relative sense in the context of the story, which is more than what can be said about other board game based movies. Characterization: 7.9/10- Each of the characters of the board game is present, and each one has a secret that he or she does not want revealed to the public, hence the blackmailing. While none of them actually have any character development, which is common with whodunit mysteries, each one is unique and fun with various motives. The dialogue exchange between the characters and each character’s quirks are the best aspects of the film. Acting: 7.7/10- Each actor plays his or her role effectively, with Tim Curry being the best of the cast. Sometimes the acting is a bit on the hammy side, which may be somewhat intentional. Soundtrack: 8.0/10- John Morris' soundtrack to Clue is a lot of fun and fitting for the film's setting. Humor: 9.3/10- Ultimately, Clue is a comedy, albeit not the typical comedy. Most of the humor is through the smart and witty dialogue. Some of the humor is black comedy with some very funny moments with the murder victims, although most of the comedy (and even the deaths) are played in a very lighthearted tone. Many times throughout the film, I was laughing-out-loud because the movie is so funny! However, unlike a lot of comedies, the humor is not constant with a large part of the movie focusing on the mystery. Also, the movie has many subtle sight gags, most of which are humorous. As with all comedies, humor is subjective to one's taste, but to me, the witty, dry, and occasionally darker humor is positively hilarious. Entertainment Value: 9.4/10- Clue's strength is its entertainment value. From beginning to end, the movie is just fun. Between the mystery and comedy, the movie was never slows down or drags. Overall: 9.0/10- While not groundbreaking by any means, Clue is an all around entertaining, funny, and intriguing whodunit mystery. Not everyone will find Clue nearly as enjoyable, but that is the case with many cult classics. Also, a quick shoutout to my friend Jamie for recommending the film!